[January 29, 2009] SPRINGFIELD (AP) -- Gov. Rod Blagojevich was convicted at his impeachment trial and thrown out of office Thursday, ending a nearly two-month crisis that erupted with his arrest on charges he tried to sell Barack Obama's vacant Senate seat. Blagojevich becomes the first U.S. governor in more than 20 years to be removed by impeachment. After a four-day trial, the Illinois Senate voted 59-0 to convict him on the broad charge of abuse of power. Under state law, the verdict instantly removed Blagojevich, a second-term Democrat schooled in the bare-knuckle politics of the Chicago Machine. Democratic Lt. Gov. Patrick Quinn, one of his critics, automatically became governor. Blagojevich's ordeal is far from over. Federal prosecutors are expected to bring a corruption indictment against him by April, after which a trial date will be set. 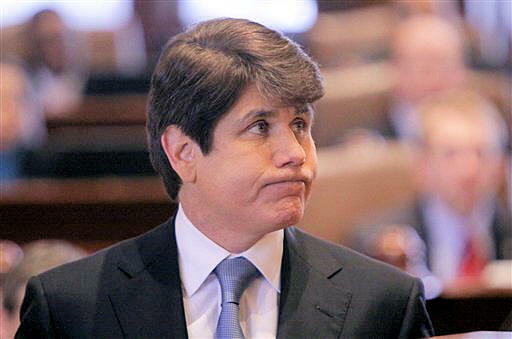 Blagojevich, 52, had boycotted the first three days of the impeachment trial, calling the proceedings a kangaroo court. But on Thursday, he went before the Senate to beg for his job, delivering a 47-minute plea that was, by turns, defiant, humble and sentimental. He argued, again, that he did nothing wrong, and warned his impeachment would set a "dangerous and chilling precedent." "You haven't proved a crime, and you can't because it didn't happen," Blagojevich told the lawmakers. "How can you throw a governor out of office with insufficient and incomplete evidence?" The verdict brought to an end what one lawmaker branded "the freak show" in Illinois. Over the past few weeks, Blagojevich found himself isolated, with almost the entire political establishment lined up against him. The furor embarrassed the state, paralyzed its government and made Blagojevich and his helmet of lush, dark hair a punchline from coast to coast. "State government has come to a standstill because of lack of trust in this administration," Sen. Bradley Burzynski, R-Clare, said before the vote. "We now have the opportunity to move forward, to begin moving past this era of corruption, pay-to-play politics and abuse of power." The verdict capped a head-spinning string of developments that began less than two months ago. It was generally known that federal prosecutors had been investigating Blagojevich's administration for years -- some of his closest cronies already have been convicted -- but his Dec. 9 arrest by the FBI caught everyone off guard. U.S. Attorney Patrick Fitzgerald said prosecutors had no choice but to step in and stop a political corruption "crime spree" -- one that was gaining speed before a tough new campaign finance law took effect Jan. 1. The most spectacular allegation was that Blagojevich had been caught on wiretaps scheming to sell an appointment to Obama's vacant Senate seat for campaign cash or a plum job for himself or his wife. "I've got this thing and it's (expletive) golden, and I'm just not giving it up for (expletive) nothing. I'm not gonna do it," he was quoted as saying on a government wiretap. Prosecutors also said he illegally pressured people to make campaign contributions and tried to get editorial writers fired from the Chicago Tribune for badmouthing him in print. Obama himself, fresh from his historic election victory, was forced to look into the matter and issued a report concluding that no one in his inner circle had done anything wrong. In the brash and often theatrical style that has infuriated fellow politicians for years, Blagojevich repeatedly refused to resign, quoting Kipling and Tennyson and declaring at one point last month: "I will fight. I will fight. I will fight until I take my last breath. I have done nothing wrong." Even as lawmakers were deciding whether to launch an impeachment, Blagojevich defied the political establishment and stunned everyone by appointing a former Illinois attorney general, Roland Burris, to the very Senate seat he had been accused of trying to sell. Top Democrats on Capitol Hill eventually backed down and seated Burris. Mocked by comedians and under immense pressure to resign, Blagojevich launched a media blitz as his trial got under way, appearing on ABC, CNN, Fox, MSNBC, CBS and more to proclaim his innocence. He likened himself to the hero of a Frank Capra movie and to a cowboy in the hands of a Wild West lynch mob. The impeachment case included not only the criminal charges against Blagojevich, but allegations he broke the law when it came to hiring state workers, expanded a health care program without legislative approval and spent $2.6 million on flu vaccine that went to waste. The 118-member House twice voted to impeach him, both times with only one "no" vote. By making a speech in the Senate chamber instead of testifying, Blagojevich did not have to take an oath or answer any questions. In his plea Thursday, Blagojevich portrayed himself as a victim of retaliation from the Legislature for his efforts to help the poor. He acknowledged the truth about his conduct is "maybe not flattering in some cases," referring to the secretly recorded conversations. But he said the tapes captured something that "all of us in politics do in order to run campaigns and win elections." Seven other U.S. governors have been removed by impeachment, the most recent being Arizona's Evan Mecham, who was driven from office in 1988 for trying to thwart an investigation into a death threat allegedly made by an aide. Illinois never before impeached a governor, despite its long and rich history of graft. Blagojevich grew up in a working-class Chicago neighborhood, the son of a Serbian immigrant steelworker. He graduated from Northwestern University and earned a law degree from Pepperdine University in California. He came up through the infamous Chicago Machine of back-room bargaining and big-money deals, getting elected to the Illinois House in 1992 and Congress in 1996. In 2002, he was elected governor on a promise to clean up state government after former GOP Gov. George Ryan, who is serving six years in prison for graft. But he soon wound up in open battles with lawmakers from his own party, leading to gridlock. And scandal followed as well. Antoin "Tony" Rezko, a former top fundraiser for Blagojevich, was convicted of shaking down businesses seeking state contracts for campaign contributions. Witnesses testified Blagojevich was aware of some of the strong-arm tactics. Rezko is said to be cooperating with prosecutors. 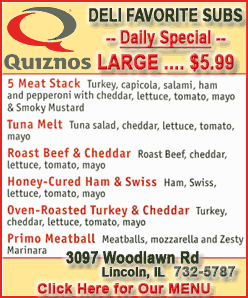 Quinn, the new governor, is a 60-year-old former state treasurer who has a reputation as a political gadfly and once led a successful effort to cut the size of the Illinois House. Associated Press writers Deanna Bellandi and Andrea Zelinski contributed to this report.